I have purchased two homes and sold two homes in the Colorado Springs area using The Innovative Group as my Realtor. I wouldn’t use anyone else in Colorado Springs, as I recommend Brandon and Louis highly. Buying and selling homes is a busy, stressful and sometimes confusing process and these guys know more than just the market and the process. They know people. They have the unique ability in making people connections, understanding what are the motivating factors, the needs and the wants. In buying they help guide you through the process in finding the right home for you, not just a home. In selling, it is a personal goal of theirs to get you the best deal and help you manage the process. They often helped me out with scheduling issues for house fixes and any other necessity that selling the home warranted. Brandon and Louis are tireless workers, problem solvers, available and motivated. These guys made me feel that my business with them was important, that my personal goals in either selling or buying were important. I never felt like I was just another client, but rather a friend they were helping out. Their follow up and customer service doesn’t stop when the home is closed either, they want to make sure that you are happy with your home long after you’ve moved in. 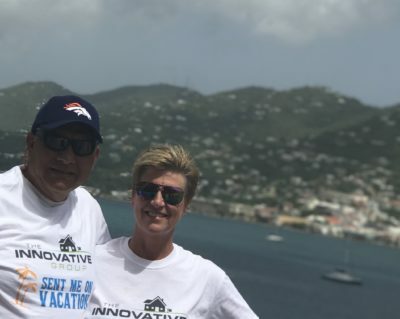 The Innovative Group is the low stress, high professionalism solution to buying and selling real estate in Colorado Springs. I would never use anyone else.